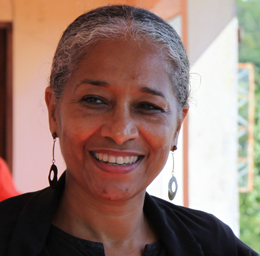 Dr Petrine Archer-Straw is best known for her scholarship related to Negrophilia and Avant Garde Paris and her knowledge of Caribbean art history. Born in Britain to Jamaican parents, she was educated at the University of the West Indies B.A. (Theology History Sociology, 1975-78) and an M.Phil (Cultural History, 1983-87), and also trained as an artist at the Jamaica School of Art (Diploma. Painting,1979-82). She gained her M.A. Art History and Ph.D. (Modern) from the Courtauld Institute, University of London, where she subsequently taught (1994-95). Archer-Straw is also a certified appraiser (New York University, 2010) and an Associate of the Appraisers Association of America. Since receiving her doctorate in 1994 she has worked as a consultant for a number of institutions in the Caribbean and Britain including the Royal Academy, London where she worked as coordinating editor for the exhibition and publication Africa the Art of a Continent (1995) the National Gallery of Jamaica where she has been a visiting curator member of the Board of Directors since 2000; The British Council where she worked as a consultant to evaluate and promote the profile of that organization in the Caribbean (1999-2000), The National Art Gallery of the Bahamas where she spearheaded the development of that institution’s curatorial practices and policies following its establishment (2000-2002), and the School of Visual Arts in Jamaica where she designed that college’s first degree program in Art History (2002-2004). 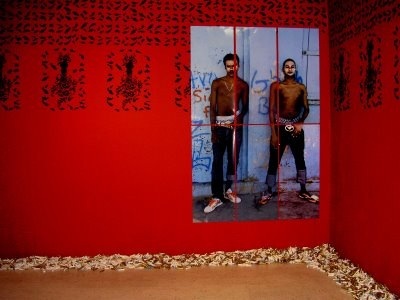 Throughout her career Archer-Straw has maintained her professional activities as a curator in the main making exhibition’s that expose international audiences to British and Caribbean art. Her Caribbean exhibitions include; One Man’s Vision: The Vincent D’Aguilar Collection (NAGB, 2003) and Past, Present and Personal: The Dawn Davies Collection (NAGB, 2004), Fifty Years Fifty Artists ( EMCVPA, 2003). Her international exhibitions include Home and Away: Seven Jamaican Artists, October Gallery (London 1994): New World Imagery: Contemporary Jamaican Art (South Bank Centre - National Touring Exhibitions, 1995), Photos and Phantasms: Harry Johnston’s Photographs of the Caribbean (Royal Geographical Society, London and touring, The British Council, 1998) and Back to Black, (Whitechapel Gallery, London 2005).